Gotta get it - and my 'baby' is 3 years old! Home » Gifts » Gifts for Dads » Gotta get it – and my ‘baby’ is 3 years old! Gotta get it – and my ‘baby’ is 3 years old! 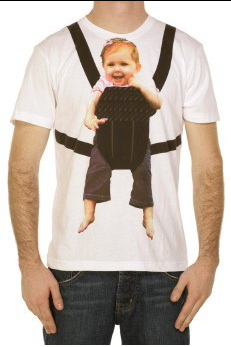 This is just too funny, especially if you have a kid strapped on back. Available from Fred Flare.